We give a "HOOT" about learning!!! Welcome to Kindergarten! We are excited about this upcoming school year! Kindergarten is important to your child, and he/she will need lots of encouragement. 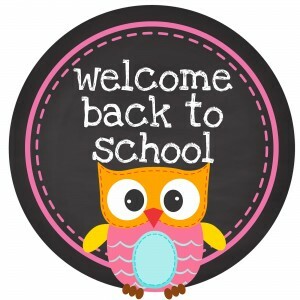 We are looking forward working with you and your child this upcoming year. We will strive to help your child become more independent and responsible with his/her work habits. This summer, we do expect and encourage your child to continue to read books and practice adding and subtracting within 20. Next year your child will have activities that will expand their mind, imagination, “thinking out of the box,” and high-order thinking skills. We not only feel that good communication between the teacher and parents is important, but we need your assistance in continuing your child’s education. If your child has access to the internet please allow them to continue using educational websites such a MobyMax, Vocabulary City, abcya, Fuel the Brain, etc. On the reverse side of this letter is your child’s supply list for next year. The supplies that we ask for are important to your child’s learning as is their teacher and their books. This includes headphones or earbuds. Your child uses multiple computer programs that requires a listening device. Thank you, and we can’t wait to see your child next year for Park Avenue’s 2018-2019 Kindergarten Class. Technology: If your child has not already done so, please supply them with a pair of headphones to use during their computer centers. *I found that Five Below and Big Lots sells some for only $5. Nothing fancy. They do not need to have a microphone. I am looking forward to a GREAT NEW YEAR!!! !